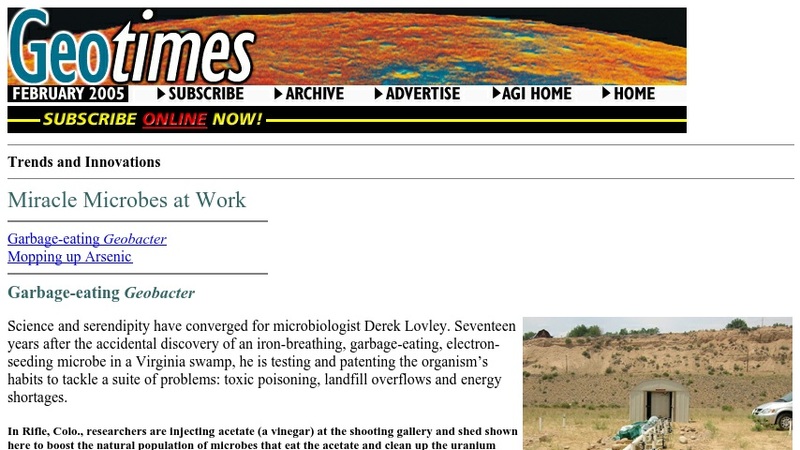 This Geotimes article highlights recent work done by Derek Lovley on the microbe Geobacter. The article discusses the ability of Geobacter to eat metal wastes as well as the prospect of using Geobacter as a microbial fuel cell. The web site also contains links to the Geotimes' home page, the American Geological Institute (AGI) home, and other useful AGI links.